My grandfather’s cabinet making shop. 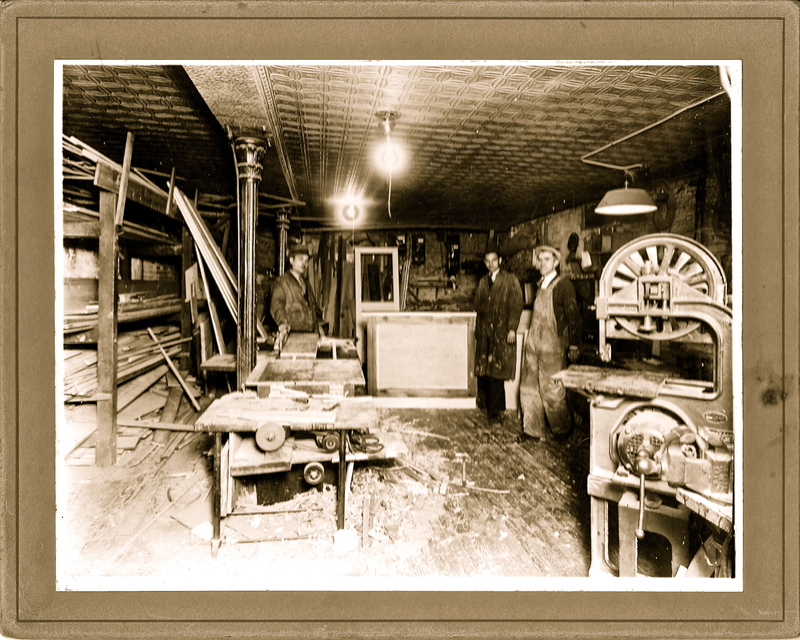 The photo on the left is of my grandfather’s cabinet shop in New York City. He is standing on the left. To the right is my father. Further to the right is a hired employee. Except for a few photos and the stories I remember from the time I was a child, I know very little about my grandparents. On a visit to Ellis Island a few years ago and my husbands penchant for putting together family trees, we gathered the small amount of information we have about Dzadzia and Babchia. They were very tight-lipped. If they ever spoke about their lives in Poland before they arrived here in America or their journeys across the Atlantic Ocean to a new country where they couldn’t speak the language, I never heard it. I remember meeting other relatives who came from Poland through them, but the visits were always brief and we never followed up. There was never a sense of having an extended family. I can say I don’t know a lot about my own parents, who were both born here as first generation Polish-Americans. I do know the day to day Mom and Dad stuff, but their early lives remains a mystery to me in many ways. For my father all I have are his military records and the medals he was honored with for his heroism during the Second World War. I have a few photos but that’s it. I know my dad suffered from shell-shock, known today as PTSD. He was difficult to live with and my mother, my brothers and I suffered the consequences of his damaged mind. He abused all of us both psychologically and sometimes physically. 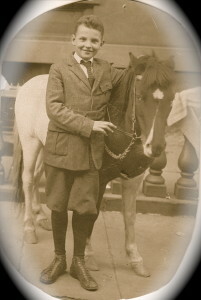 My dad as a boy! He was born and grew up in New York City in what I presume was a Polish neighborhood, surrounded by other ethnic neighborhoods. He was a bigot, always taking people of other ethnicities down. He was also extremely competitive. I imagine it started in the City where many early immigrants first settled. The competition he most likely experienced in school and on the streets, to be the biggest and the best that he could be, must have been fierce. He experienced the Great Depression, witnessing men jumping out of windows because they’d lost everything. Other than that I know nothing of his day to day family life. He attended Cooper Union, where he studied engineering and architecture for three years. I have no idea why he didn’t graduate. He did however have a chair of his design in exhibition at the World’s Fair in New York in 1939. He married my mother on Valentines day, 1942. I was born 9 months and 3 days later. The day after he and Mom were married he went to Montana to begin training for his role in fighting the war with the First Special Service Forces, known by the Germans as the Devil’s Brigade. The were fierce fighters trained to jump out of planes over Norway, then skiing during the cold winter months to munition factories and labs where the Germans were beginning to experiment with atomic energy and bombs. When their mission was canceled, my father landed by parachute in Italy where he and his men fought their way up the boot, killing and being killed as they went. He witnessed his best buddies head blown off by a Nazi, as they stood talking and was the lone survivor when he and his men took out a nest of Nazis hiding in an extensive underground bunker. When the war was won, Dad was one of the men who liberated a number of the prison camps in Germany and stayed there for several more years doing some kind of secret work. My mother and I joined him there when I was four years old. After the war he started a home building company on Long Island, where we lived until 1960, when he decided to “retire.” We moved to Killington, Vermont, where he built and ran three ski lodges. Despite his early abuse and bigotry, he was a good man in many ways, and became a loving “Grampy Tom” to my kids. As Memorial Day approaches at the end of the month I think of him and wish I had known him as a boy, as a student of engineering, and the man who fell in love with my mother. Before he went away to Europe and came back a different man. It’s all still happening today as we send our young people across the seas to fight in other lands. We are all many people, are we not? … You offer a refreshingly poignant insight on Memorial Day, one of gratitude to all those who have made and continue to make such sacrifices. Thanks H.H.! Your words are appreciated. Reading your historical anecdotes I conclude you have come from sturdy stock with the pioneer spirit like mine who came from Switzerland via Germany. Your grandfather’s cabinet-making shop reminds me of my own grandfather’s farm implement and supply shop. It began as H. R. Longenecker and Son and survived until my father’s death as Longenecker Farm Supply. Though it supported our family well, I have done a post about the messiness of the shop, which embarrassed me no end. I think it must have been a pioneering spirit and an urge to make life better. I can’t imagine working in a dark stuffy place like that. They eventually moved out to Long Island where they set up a small farm, raising lots of luscious veggies and chickens. That’s where I learned to clean a freshly killed hen. 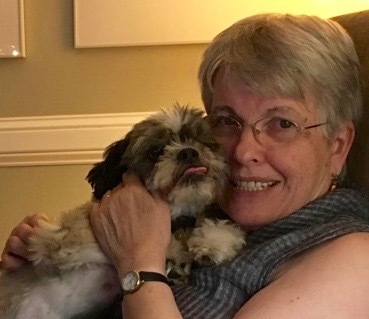 Joan – Thank you for sharing what is clearly aheart-felt portion of your story here. It’s hard to know what our parents (and theirs) had to endure; changing many shiny-penny personalities to something much darker. Laurie, You are so right. I cannot imagine what life was like for them. I know that once my grandparents moved out to the country on Long Island, they were much happier. the main one. Frank Lloyd Wright was generally not a fan of cities. Time will tellIn their younger years, the first-born daughter may feel rejected by her mother. recall as good, especially Christmas eve andd Day.